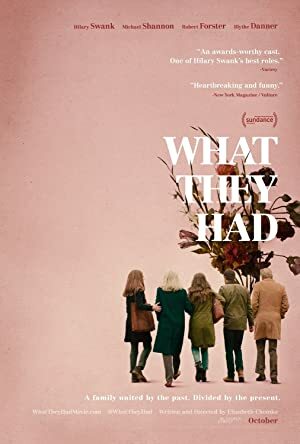 What They Had (2018) – What's New on Netflix Canada Today! Bridget returns home at her brother’s urging to deal with her ailing mother and her father’s reluctance to let go of their life together. A woman must cope with her brother urging to put their mother battling dementia in a facility and her father who’s committed to keeping his wife home.